Add some excitement to your store with an Addy® Doll Drawing! She’s a courageous girl who starts a new life in Philadelphia in 1864, during the Civil War. She inspires girls of today with her resilient spirit and love for her family. 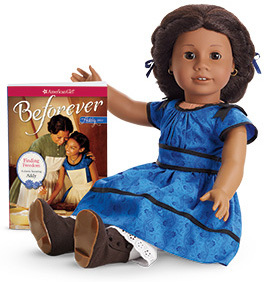 This easy-to-execute promotion enables you to buy and display an Addy doll in your store, and offer your customers a chance to win her through an in-store drawing. Available with qualifying order, while supplies last. We reserve the right to limit quantities.